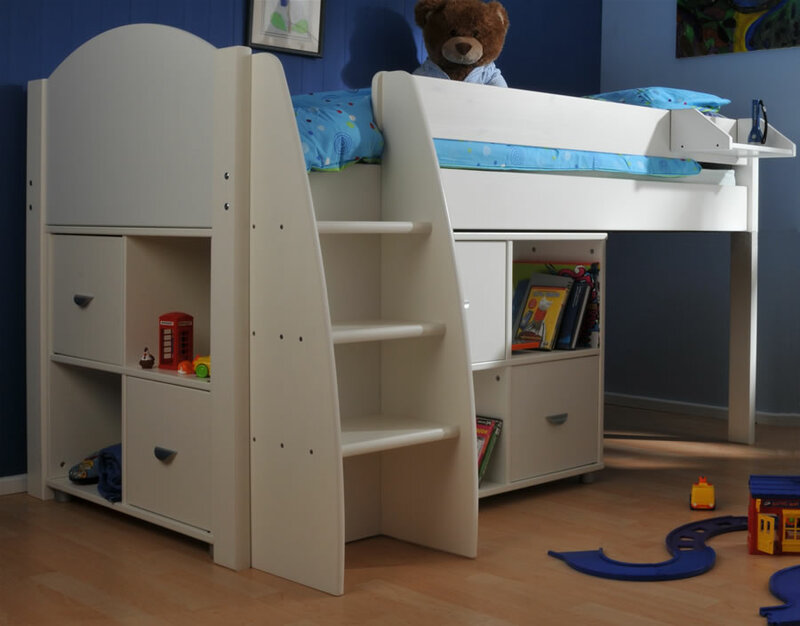 The Stompa Rondo 4 mid sleeper cabin bed is available in a neutral white finish with a choice of coloured head and foot boards. 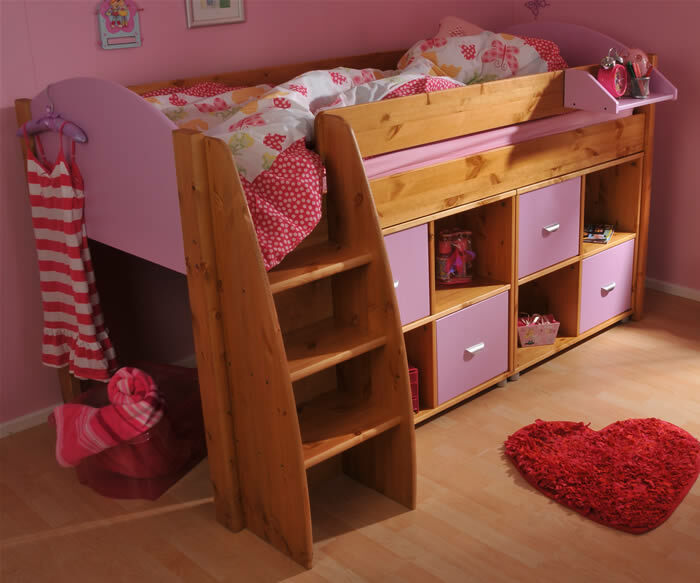 For extra bedroom storage two, four cube units are supplied each with 2 coloured doors and 2 open shelves. 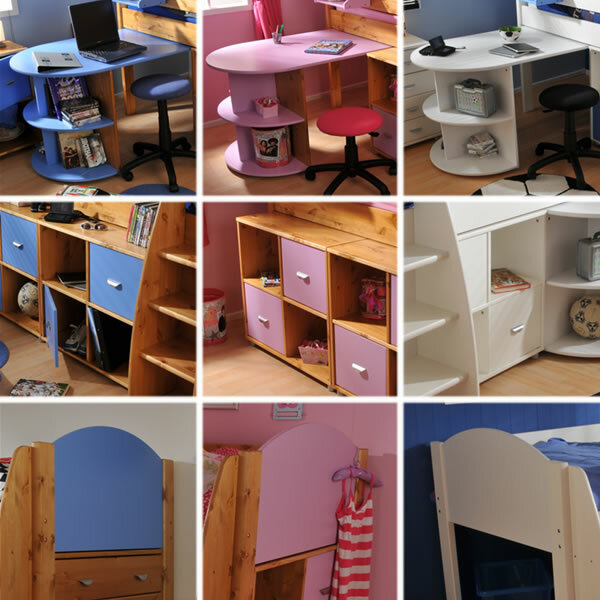 The MDF gable ends and cube doors are available in a choice of three colours, blue, lilac and white. 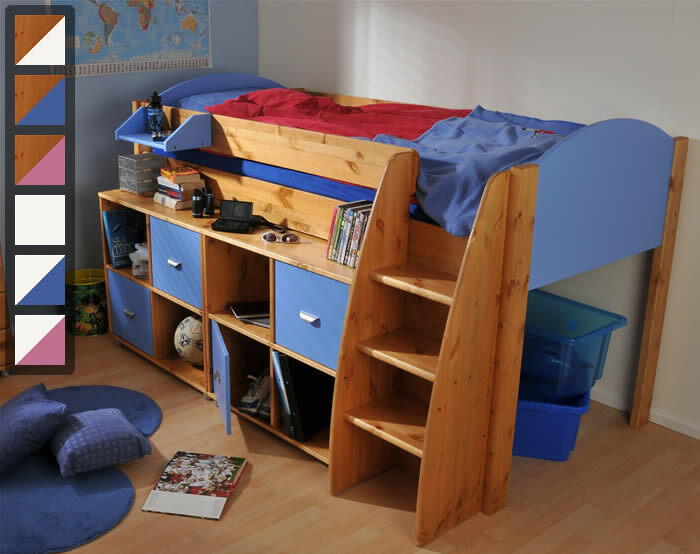 The Stompa Rondo 4 features a sturdy 3 step ladder for safe and comfortable access to the sleeping area. 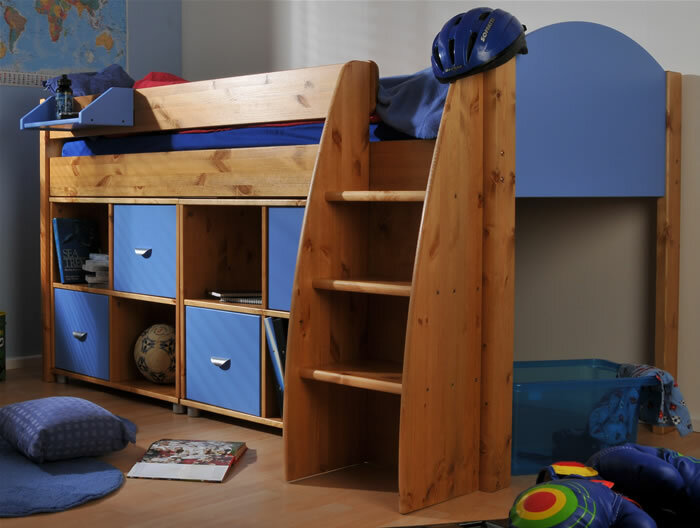 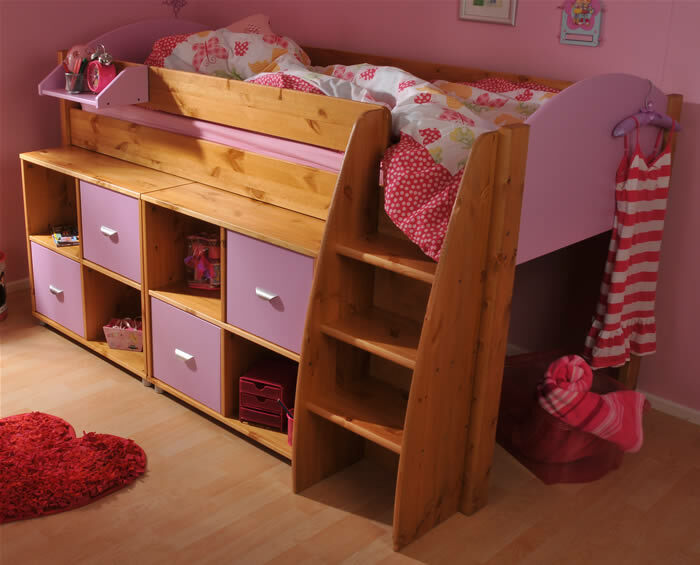 To maximise room layout compatibility, the Rondo 4 ladder can be assembled to the head or foot of the bed. 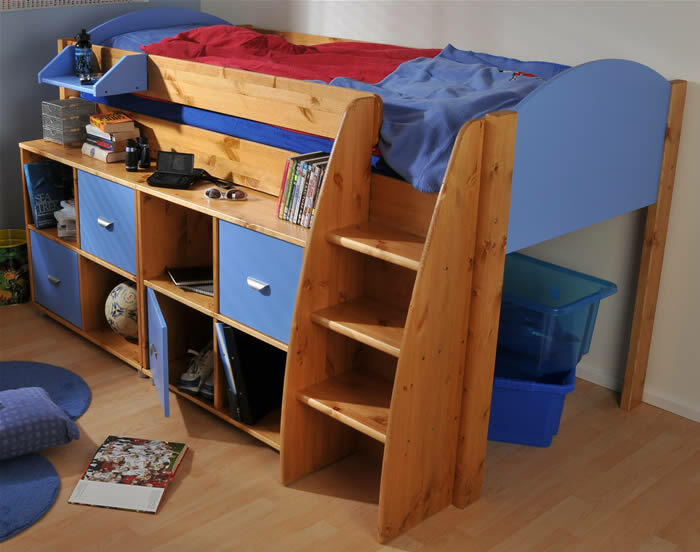 Optional clip on shelves are available in a choice of 3 colours.